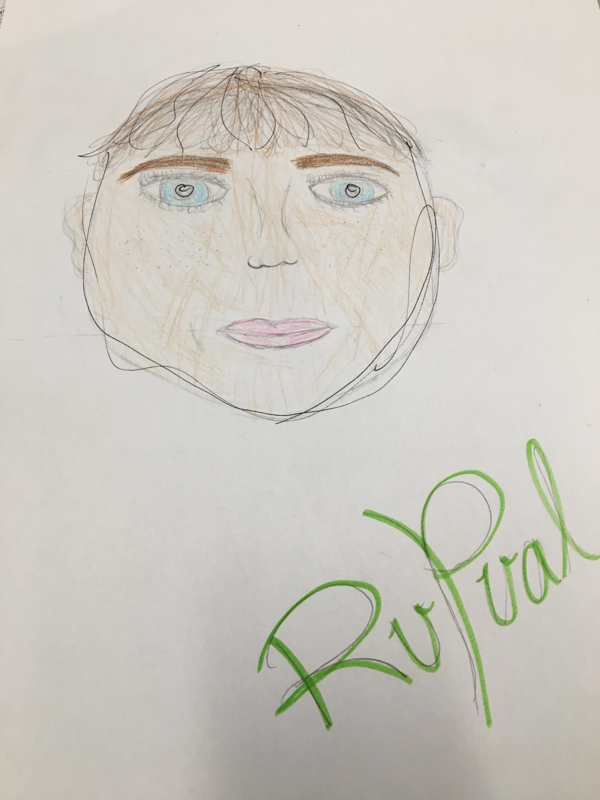 We decided to name our child Rupual, he has wavy medium brown hair, blue large round eyes that are average distance apart, long eyelashes, average sized mouth with thick lips light brown thin eyebrows, freckles on his cheeks, a small rounded nose shape and nostril shape, he has attached earlobes with absent ear points and absent ear pits, his skin color is a light brown. a. How does the coin flip relate to the probability of inheriting genetic conditions? It makes the probability exact because you have a 50% chance of inheriting genes from both your mother and father. Shown with the coin flip of you also having a 50% chance of landing on either side. b. How does this simulation accurately represent or not represent real life? It doesn’t represent real life because some of the traits listed are not all traits that your real parents would have, and if both parents had blue eyes and the child had brown there is no trace of brown in the ancestry than it wouldn’t make sense, it is represented accurately because there is a 50% chance of receiving the different traits if your parents do have them. Yes there were certain traits that are more desirable then other, for example I wouldn’t want my child to have a una brow because the stereotypes in the world point them to a negative image.